Smiling with relief: I finally have my adult teeth at the age of 28! 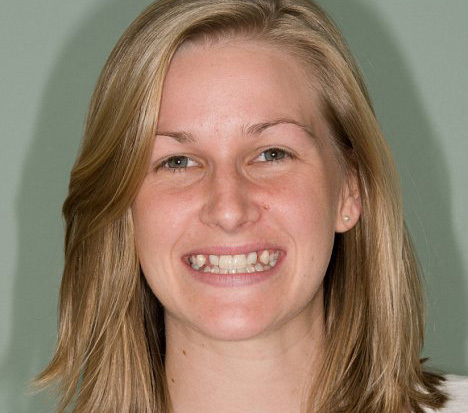 The Tooth Fairy failed to show up for the young Emily Cheeseman – but she is happy to finally have a full set of adult teeth at the age of 28. Although she had a full set of baby teeth as a youngster, six of them failed to fall out as she grew older. This was because a rare medical condition called hypodontia that meant she was missing the adult teeth needed to replace them. 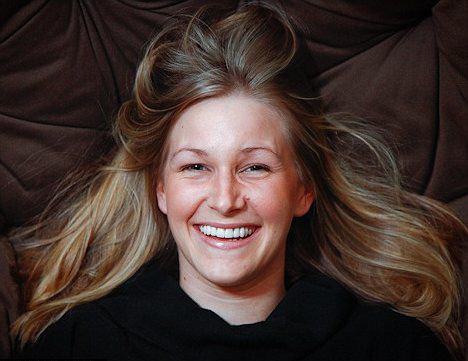 Before: Emily Cheeseman was very self-conscious about her smile before she had adult teeth implants. She suffered from the rare condition of hypodontia. Now after seven years of dental treatment Emily has had her milk teeth replaced with adult-size implants. ‘It’s wonderful to have a full set of teeth at last,’ said Emily, a travel agent from Tunbridge Wells, Kent. Emily’s four upper front and two lower back teeth were half the size of her adult ones, and fragile by comparison. She was self-conscious, rarely smiled, talked with a hand over her mouth and had great difficulty eating. When she got to 21 one of the milk teeth chipped and needed filing down. She became worried she could lose them and embarked on years of dental treatment. ‘It was very hard at first when I had the teeth removed and I felt very self-conscious. I would avoid people,’ she said. Emily had the teeth taken out at hospital in Birmingham, then needed braces to widen the gaps for adult-size teeth. She said: ‘I lived with milk teeth alongside my adult teeth until I was 22, when I decided that if I didn’t opt for some sort of solution I would have to deal at some point with my baby teeth perishing, as they’re not designed for lifelong use. ‘I qualified for dental treatment on the NHS to have them removed and preparatory work done on my gums to create ‘pegs’ for implants to be secured to, but then I went travelling to New Zealand and on my return the NHS would not fund the further work, so I had to fund the rest myself. ‘I had to undergo orthodontic treatment first to get all the teeth aligned correctly so that the implants would sit properly next to my other teeth, and also to create the right sized gap for the new teeth to sit in. I also had some whitening treatment and permanent dental implants. Oliver Harman, lead clinician at The Harman Clinic in Tunbridge Wells, where Emily was treated, said: ‘Hypodontia is rare and is thought to be linked to genetic factors, although the actual cause of the condition is unknown. ‘Although many patients can live with the look of their milk teeth, the reality is they are just not strong enough to stand the test of time. 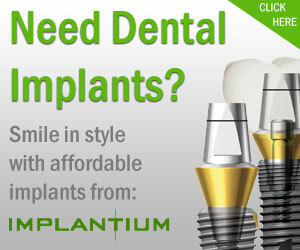 Dental implants have advanced which mean that strong teeth can be implanted which will last a lifetime and look real. ‘Emily feels she’s been given a new lease of life and bags of confidence as a result of her treatment. Emily came to see us following 18 months of Invisalign braces to align her lower teeth and open space for implants to replace her two upper canine teeth. 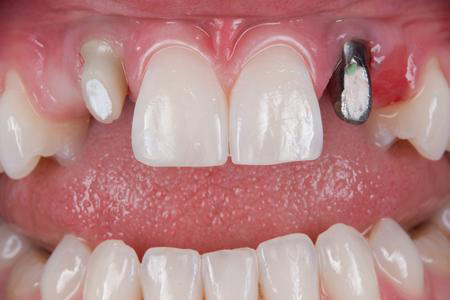 ‘The lower teeth had been moved very successfully but unfortunately, owing to her lack of jaw width and the splayed roots of adjacent teeth it had proved technically impossible to create enough space for her implants.